Cold weather presents unique driving conditions. 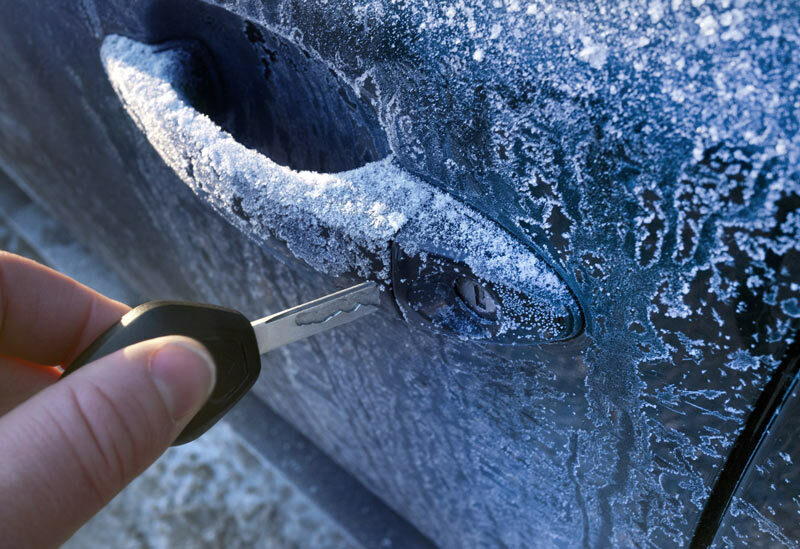 Check out these winter car maintenance to-dos. When winter arrives, it’s important to know that your car is capable of dealing with inclement weather. From reduced visibility to adverse road conditions to cooler temperatures, it’s vital that your car can handle the winter weather. Breakdowns more than double during the winter months because snow, ice, wind, and rain cause havoc with driving conditions. Here’s how you can prepare your vehicle for the winter ahead. Check your car battery. Cold and damp weather is a battery killer. If your battery is struggling to start the car, the chances are it’s on its way out. While you can test the battery yourself if you have the correct equipment, it’s far easier to ask a specialist to ensure that your battery is in good condition for the winter ahead. Top up fluids. Antifreeze, as the name suggests, stops the water in the engine’s cooling system from freezing. Ensure that the antifreeze in your car is topped up for the winter. Also take the time to top up your screen wash and get an oil change, if necessary. Inspect exterior lights. The days are shorter and the weather is worse during the winter months, so proper maintenance of your exterior lights is essential. Check and clean your lights regularly. Salt and dirt can quickly build-up, reducing visibility at night as well as during a period of snow, fog, and rain. Winter tires. Checking your tires in winter is incredibly important. Tires keep the vehicle in contact with the road, so it’s vital to maintain plenty of tread and traction throughout the winter months. If your tires are balding, it may be time to get new tires. If you frequently drive in the winter, consider buying a set of winter tires that offer exceptional grip when the temperature drops. Do you have the right auto insurance to see you through the winter and beyond? This coverage gives you the peace of mind that you won’t face auto financial hurdles alone – especially during the season of gift giving. Contact Gee Schussler Insurance for reliable, tailored coverage in Orland Park, Illinois.